Our partner, Jillibean Soup has a fantastic line called Mix the Media. 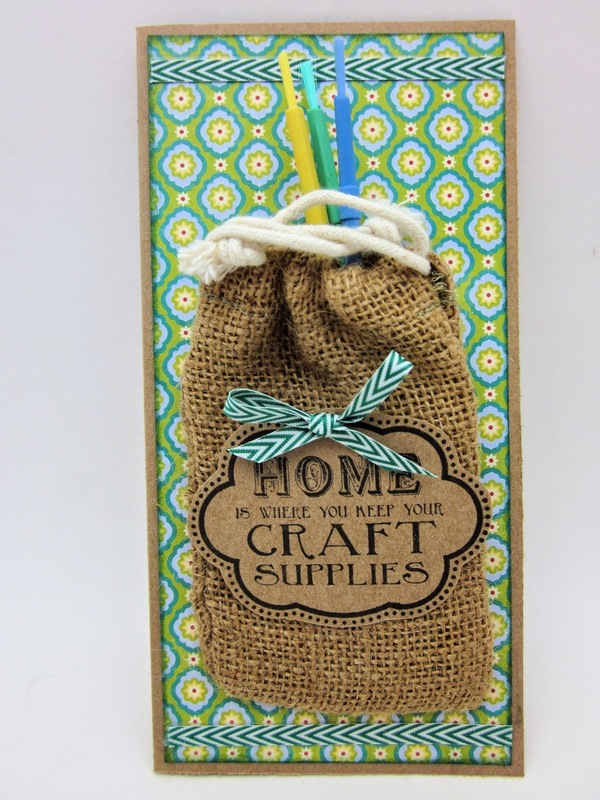 It is all about the Home Decor and DIY craze. The wood plank frame is from this new line. 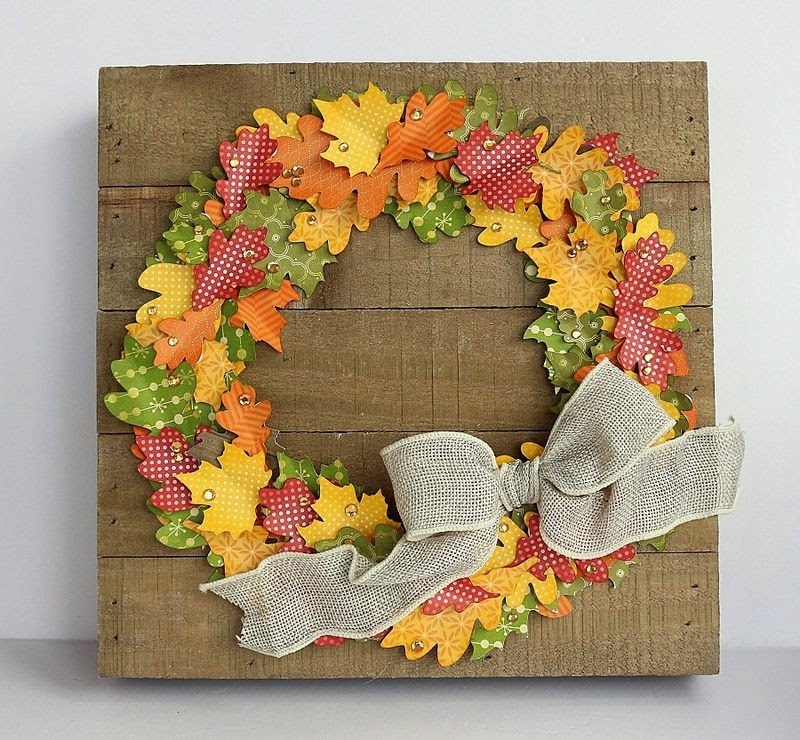 One of their designers, Sarah Webb embellished the the wood planks with a paper leaf wreath. Absolutely stunning to hang on your wall or sit on your mantle. 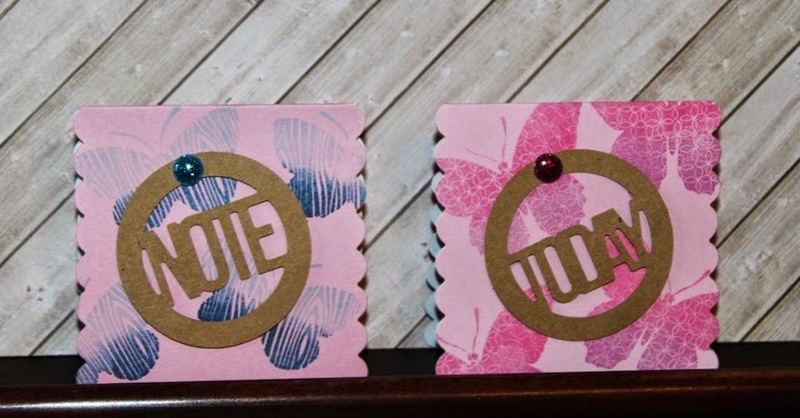 Other: ink, burlap, glue dots. Step 1. Emboss a piece of Chalk Core paper. Sand the raised designs. Step 2. Stamp the image with White ink. Step 3. Color the images with Inktense pencils. Use a water brush to spread the colors. Step 6. 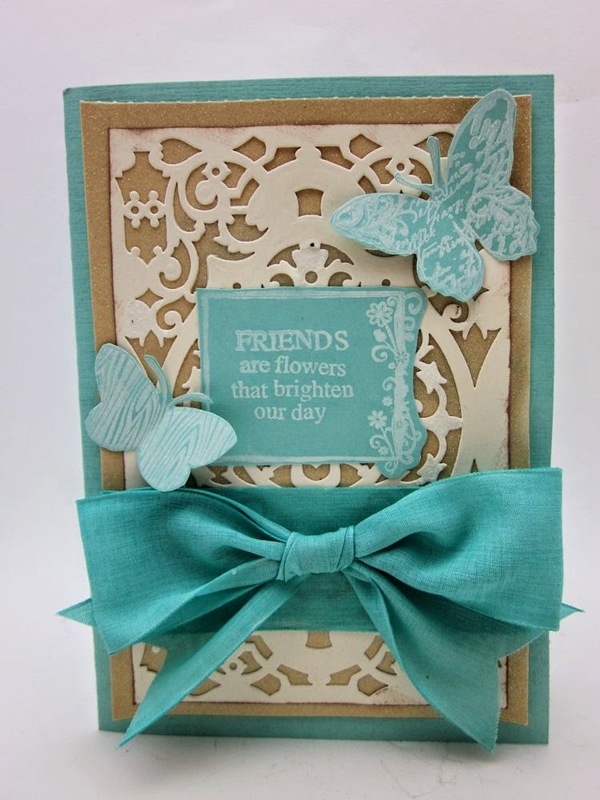 Attach to a card base. Welcome back to the Hampton Art blog! 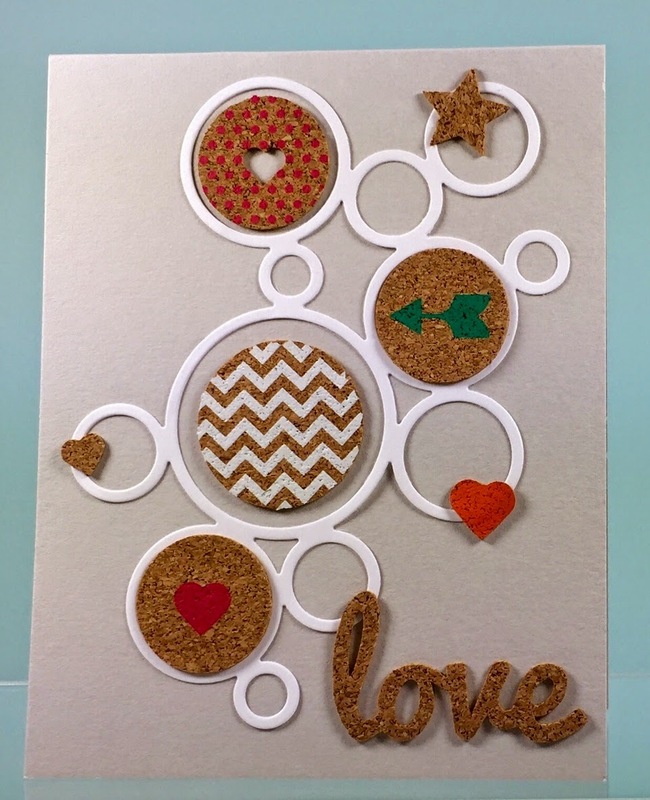 Today I'm sharing a fun card featuring Hampton Art / Jillibean Soup printed cork shapes from the Mix the Media line. The best part? 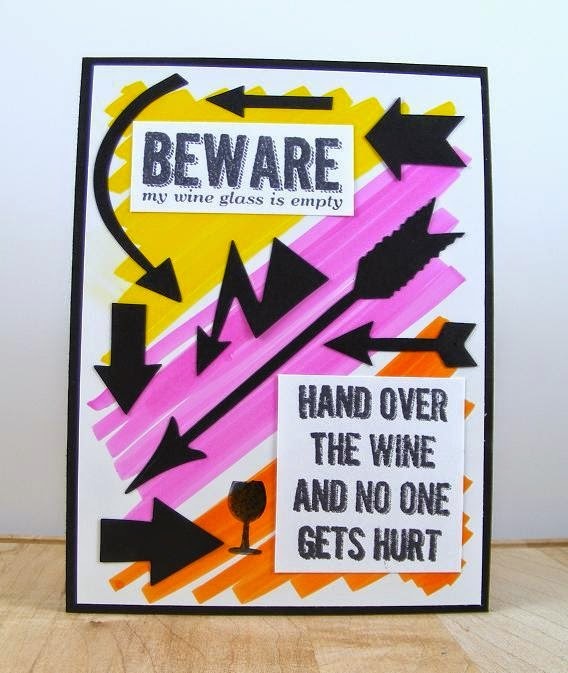 The cork shapes are self-adhesive! 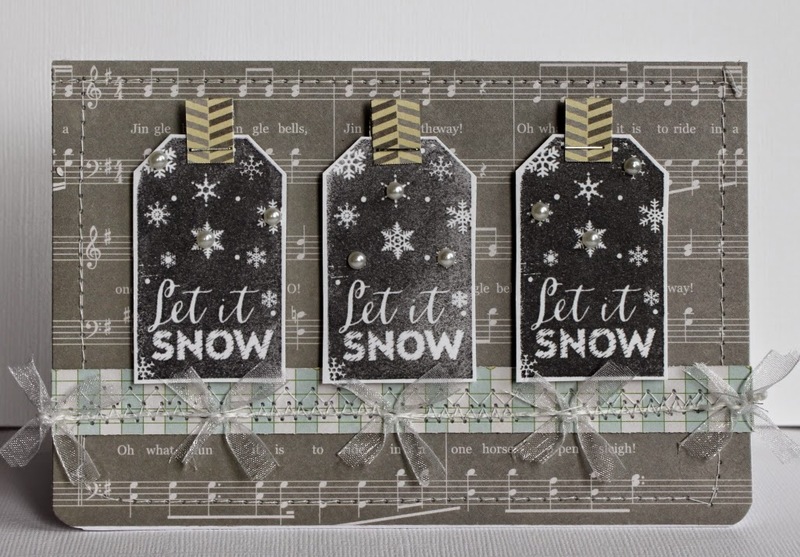 This card reminds me of a song I loved in High School, “Hazy Shade of Winter”- the Bangles version that is. 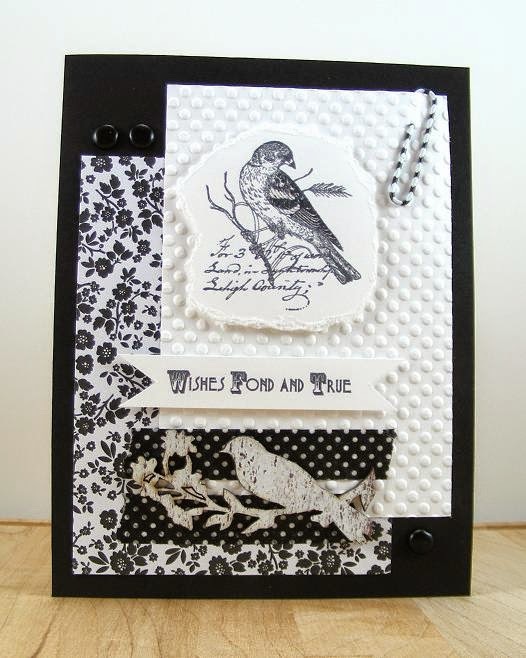 Who knew shades of grey could interpret into such a lovely winter theme card? 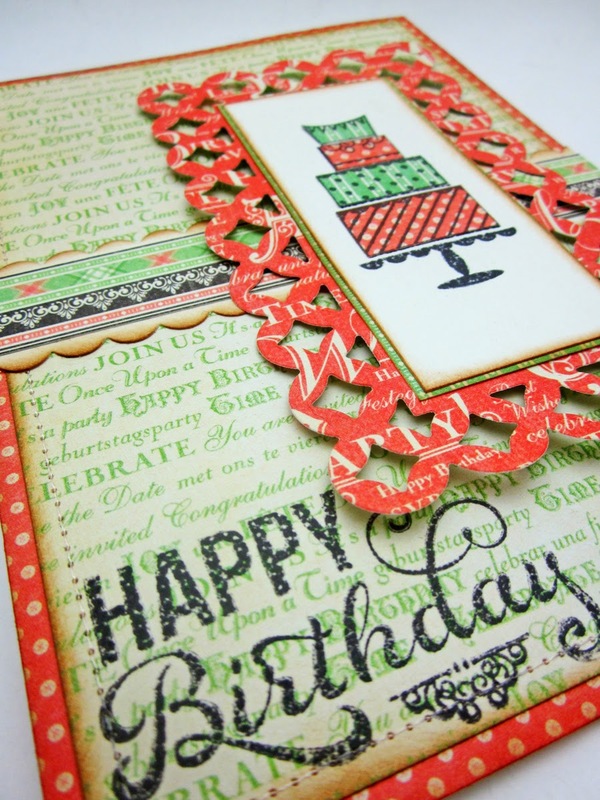 The card utilizes brand new Jillibean Soup –Holly Berry Borscht papers and stamps with some lovely delicate embellishments in white. Did I mention that I love snow? 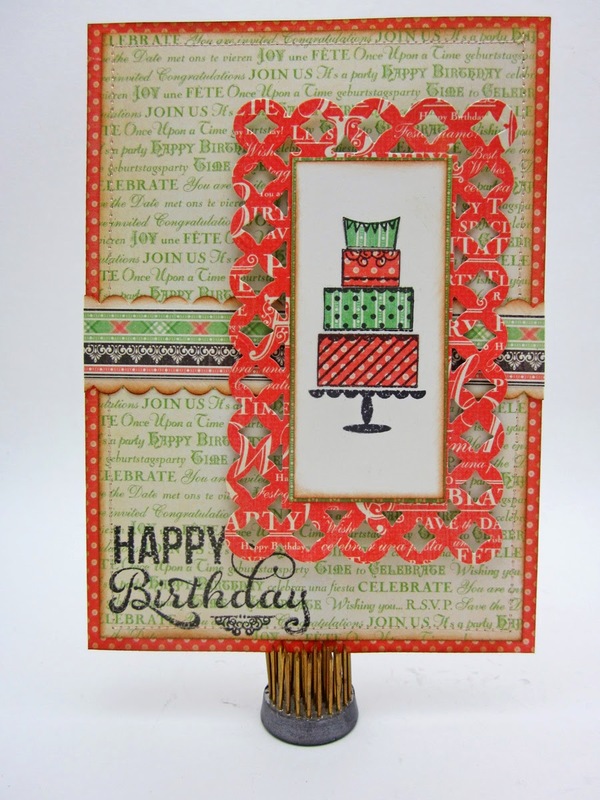 First I cut the card base from Holly Berry Borscht/Smidge of Snowflakes paper. 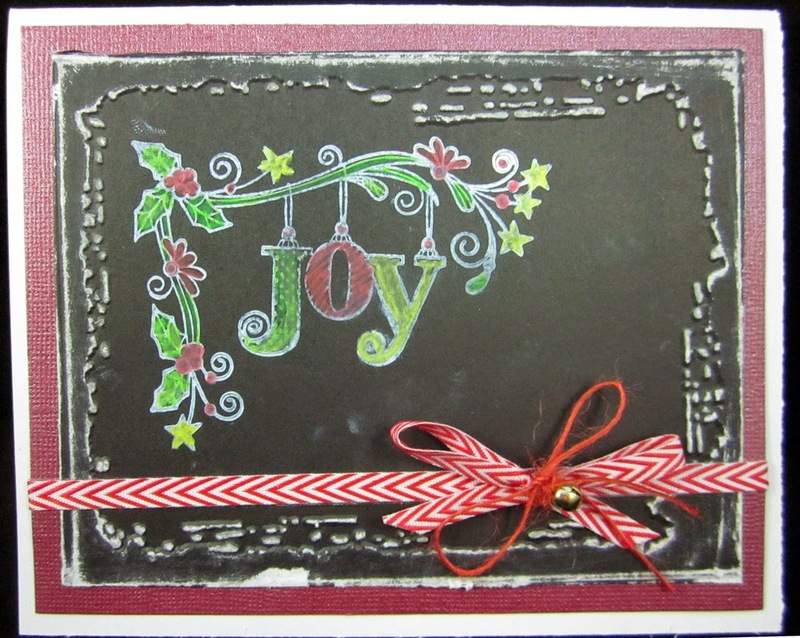 Next I stamped the “Let it Snow” tag stamp from Holly Berry Borscht collection in black ink. 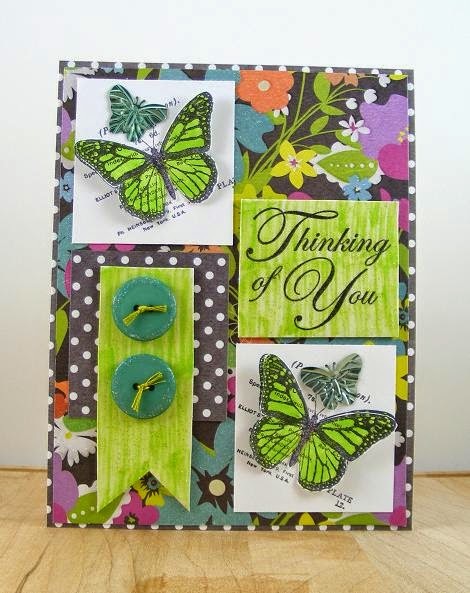 Next I cut a strip of Graph It paper from the new Soup Staples III collection and used it as a border strip to anchor the design of the card. 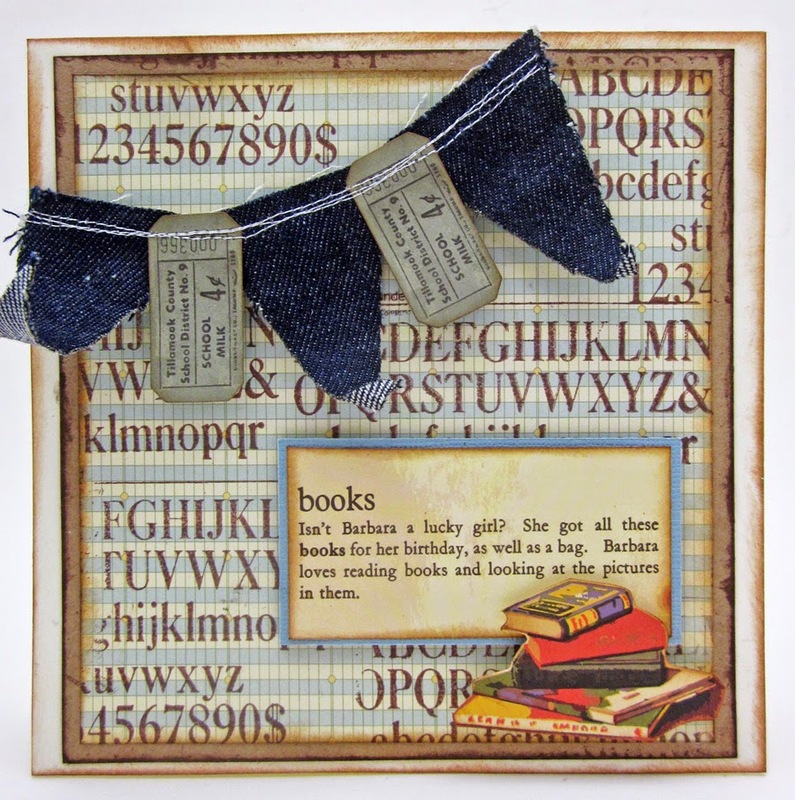 Then I cut out the three tags and added some paper tabs to the tops from Graph It paper-b side, attached with staples. 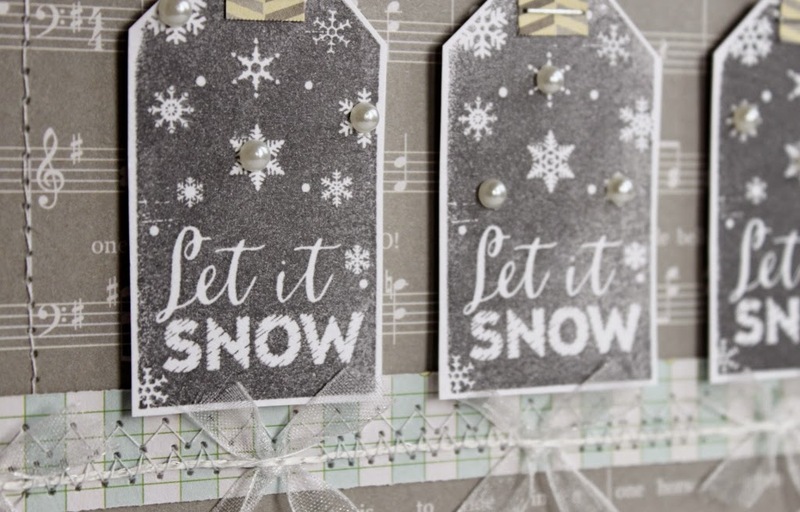 Then I pulled out the sewing machine and added some stitching around the outside border and down the border strip then added the white bow ribbon, simply because they reminded me of snowflakes. 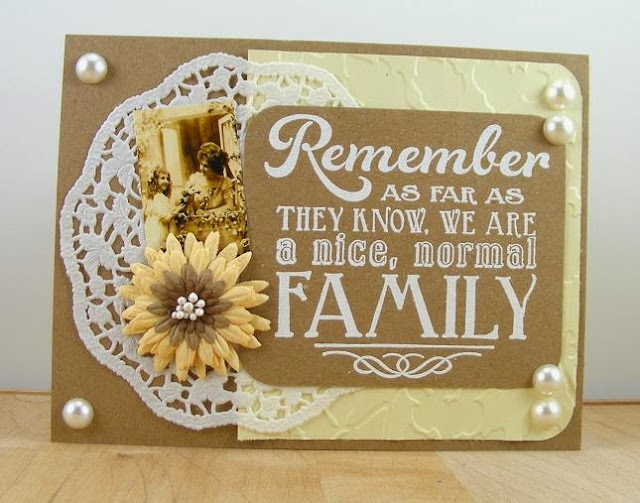 Last I added the tags to the card as shown with 3D pop up dots, then added white pearls randomly to set it off. So whether we are ready or not, the snow will come (in Ohio at least that is). So we may as well celebrate it right? Welcome back to the Hampton Art blog! 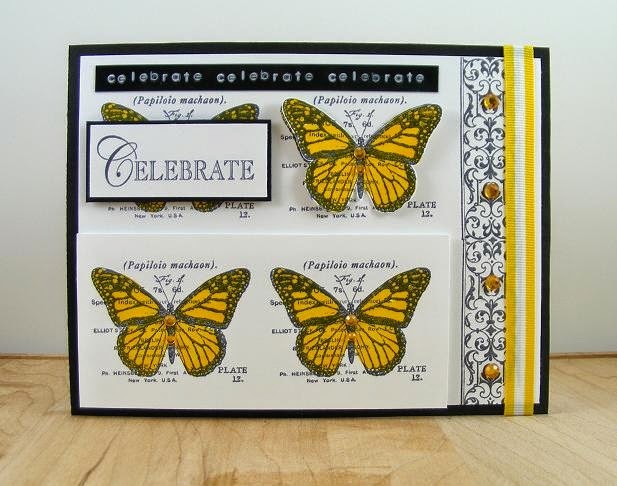 Today I'm sharing a cute card using a stamp and die set by Hampton Art and Hot Fudge Studio. 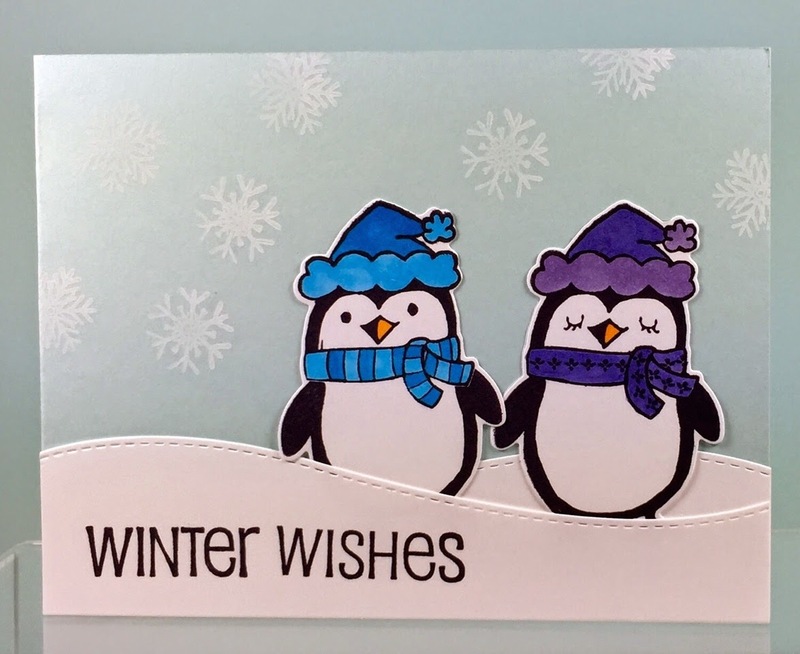 I just love these little adorable little penguins! I stamped them and colored their outfits. Then I used the included die to cut them out. 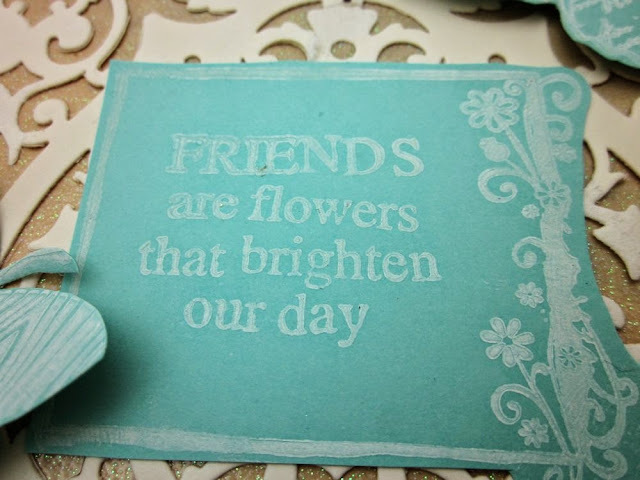 It is so much easier than cutting each one by hand! 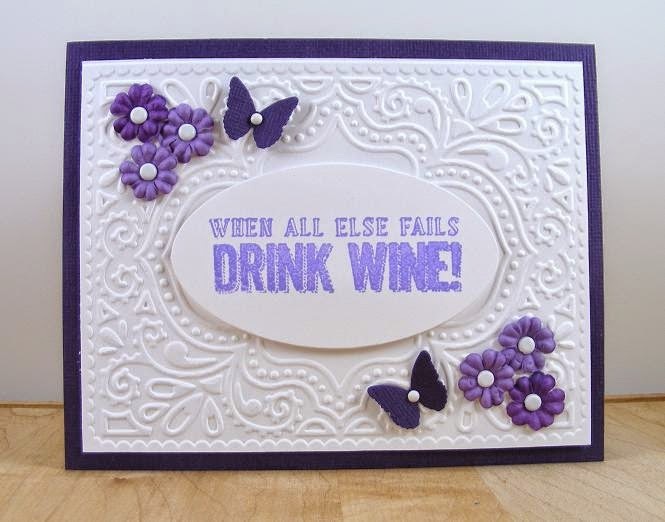 Hi, it's Gini and today I have an easy and elegant card to share with you. I used some glittery paper behind my diecut to keep the background neutral, but with lots of texture. 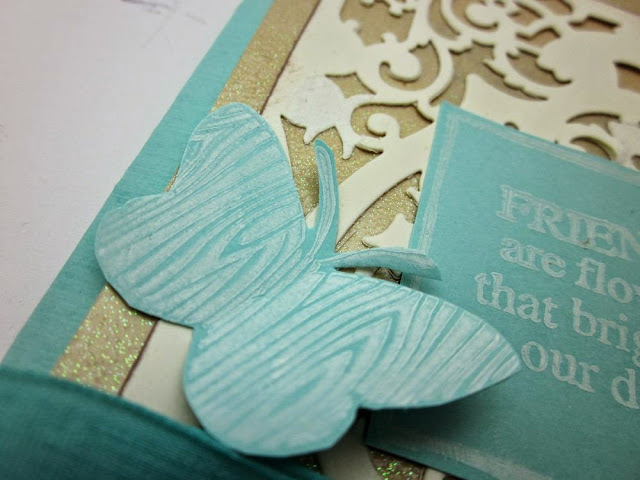 I used white ink to stamp the butterflies and sentiment on the aqua cardstock and finished everything up with a bow. 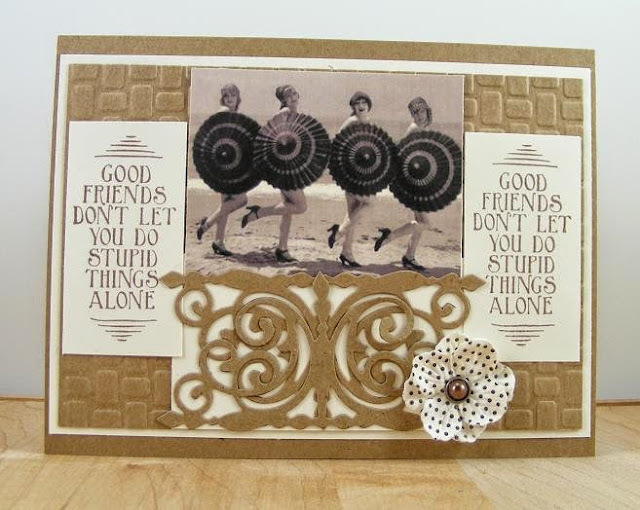 Here are some funny cards created by designer Beverly Sizemore. 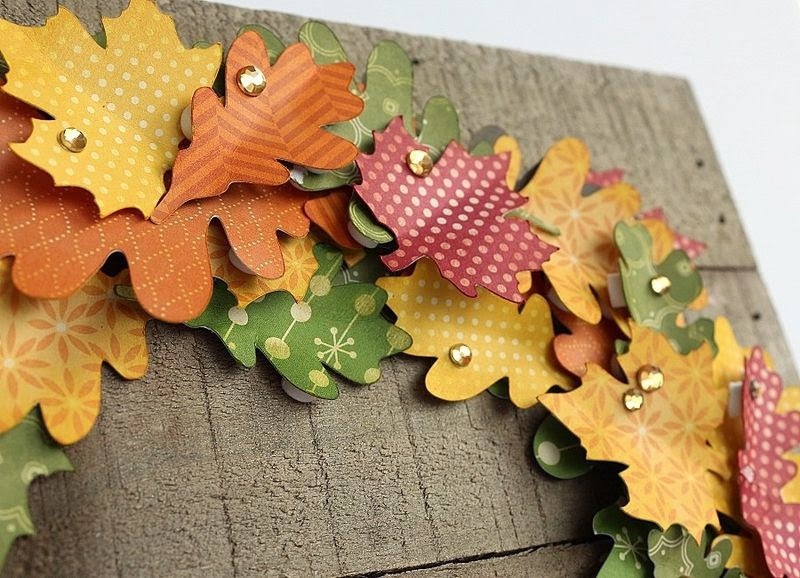 Wood Embellishment -- Prima Marketing, Inc. Welcome back to the Hampton Art blog! Today I'm sharing a simple Hello card featuring Hampton Art Jillibean Soup Mix the Media Ephemera in cream, green, and blue. 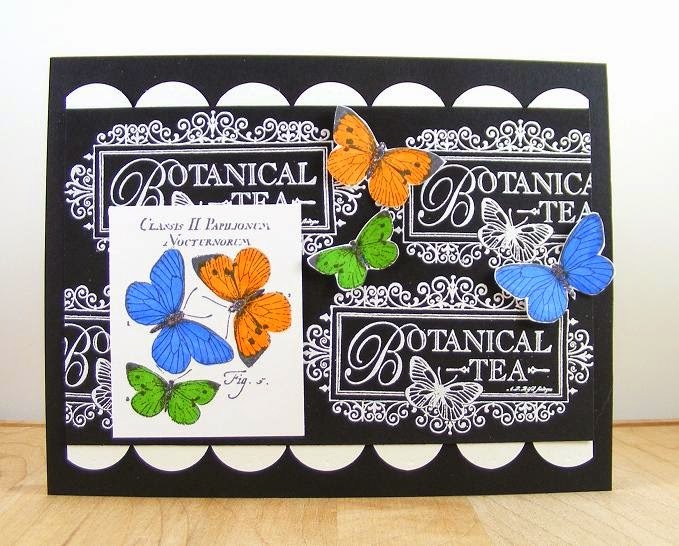 I loved mixing and matching the ephemera to create this card. Isn’t the cork butterfly lovely? 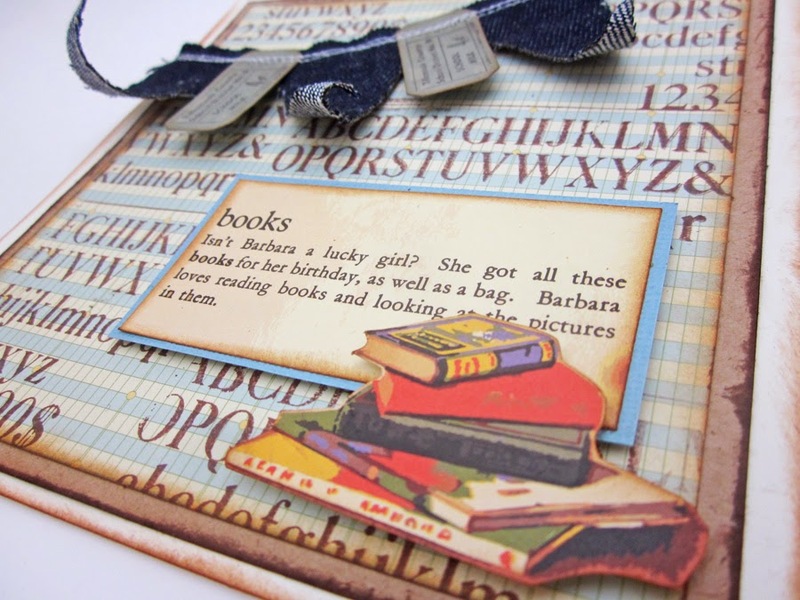 This layout is for my college age daughter’s album, I wanted to capture the young and in love chapter she is in right now. 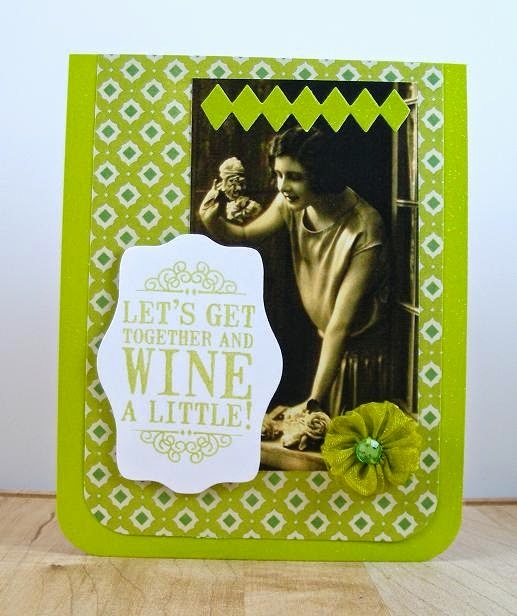 So I chose some versatile new Soup Staples III papers & embellishments and added some Vintologie stamp sentiments. 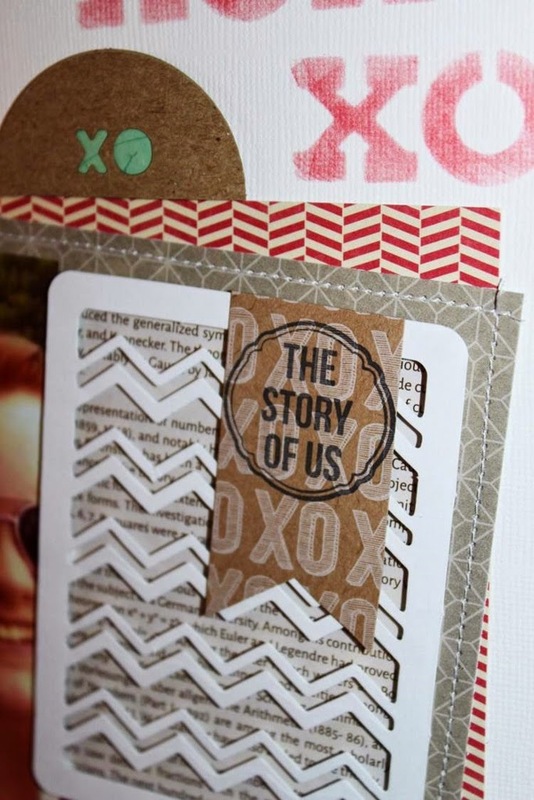 Then I stamped the “Story of Us” sentiment onto the kraft paper in black ink. 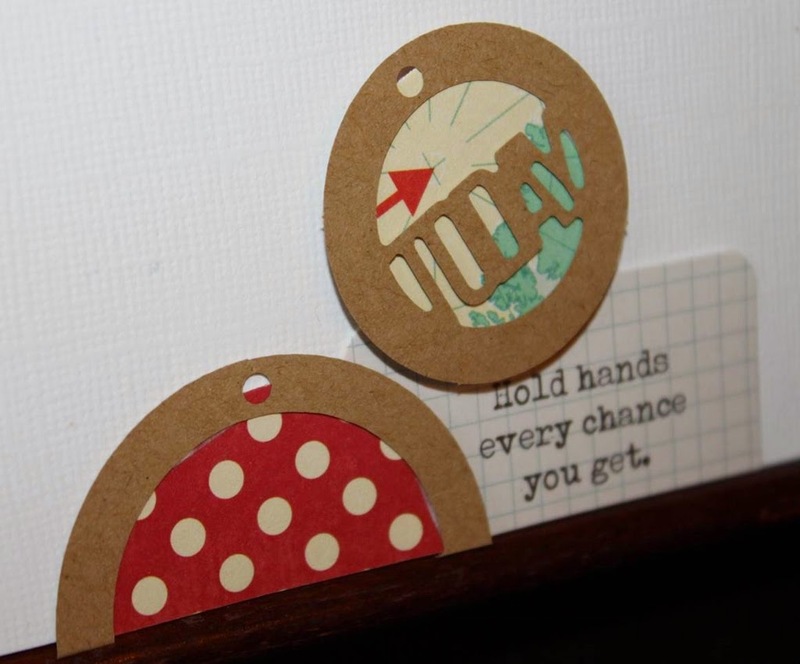 After that I stamped the “You & Me” sentiment onto a Ephemera pack label as shown in red ink. 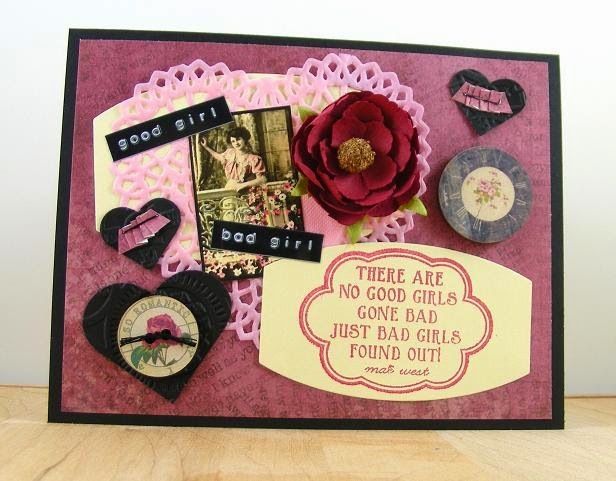 Then I added the other stickers and embellishments to complete the layout. Using the sewing machine and white thread I framed out the gray patterned mat in a straight stitch for some added texture. Do you have an album that could use some extra hugs and kisses? 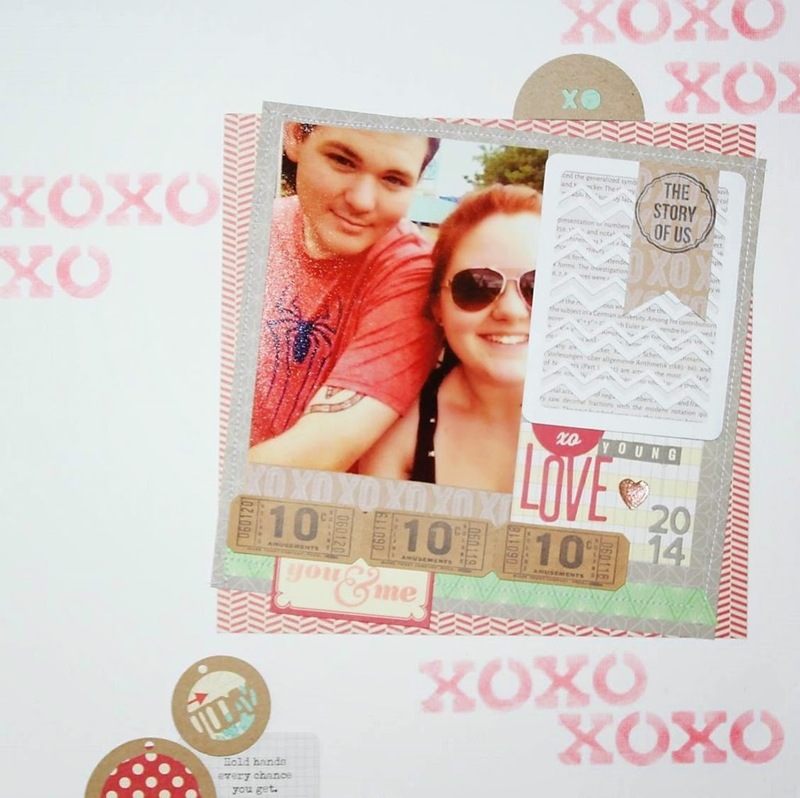 Give this layout a try, it is full of love and layers. Welcome back to the Hampton Art blog! 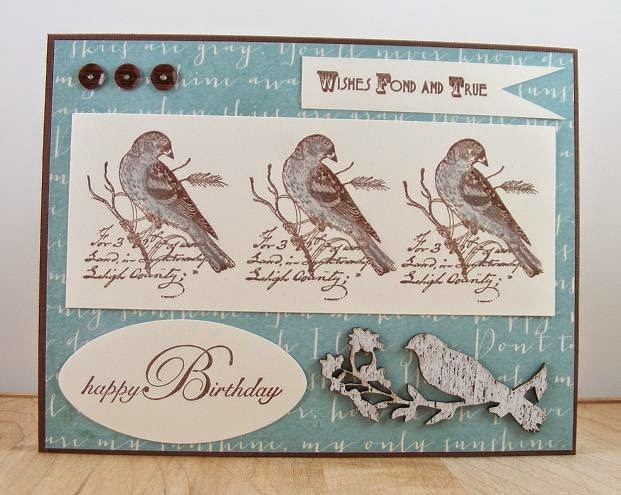 Today I'm sharing two cards using the Sightseeing Stew line by Jillibean Soup and Hampton Art. 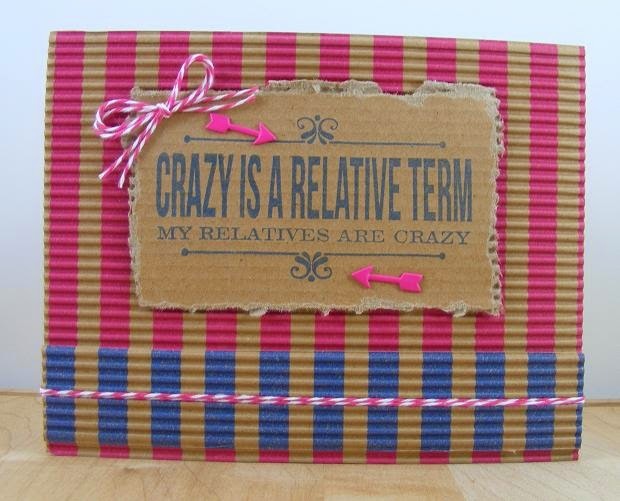 This line is perfect for making travel-themed cards, scrapbooks or mini albums.